American soprano Ashley Valentine recently made her solo debut with the Nashville Symphony in Haydn's masterpiece, The Creation, conducted by Nicholas McGegan. As Gabriel, she "performed with a remarkably delicate, yet precise tone." (Nashville Arts Magazine). A passionate performer of early music, Valentine recently performed the title role in Handel's Rodelinda at Indiana University, where she studied historical performance. 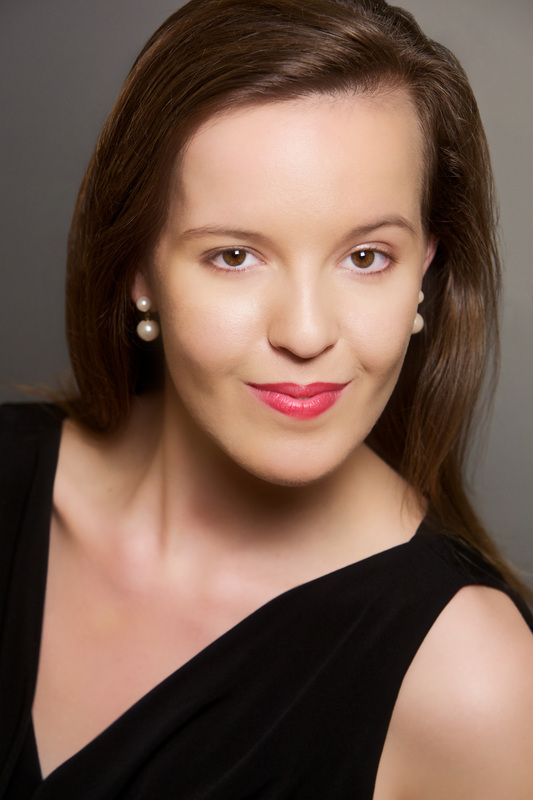 She has sung with the Philharmonia Baroque Orchestra as a soloist in Mendelssohn's Lobgesang, and the American Bach Soloists, portraying the role of Orfeo in the American premiere of Handel's serenata, Parnasso in festa. Other performances include Purcell’s The Fairy Queen, concerts with a capella choir, Capella SF, under Ragnar Bohlin, Haydn’s Creation with the Bloomington Chamber Singers, and Bach Cantatas with the Bloomington Bach Cantata Project. Valentine holds a Bachelor of Music degree from the San Francisco Conservatory of Music, where she studied under mezzo-soprano Catherine Cook. Currently, she is pursuing her Master of Music degree at the Royal Academy of Music in London, studying under soprano Lillian Watson.